This is a great, high quality, high-tech electronic hearing protection at a great price. The Pro Ears Pro 200 offers comfort, performance and style. 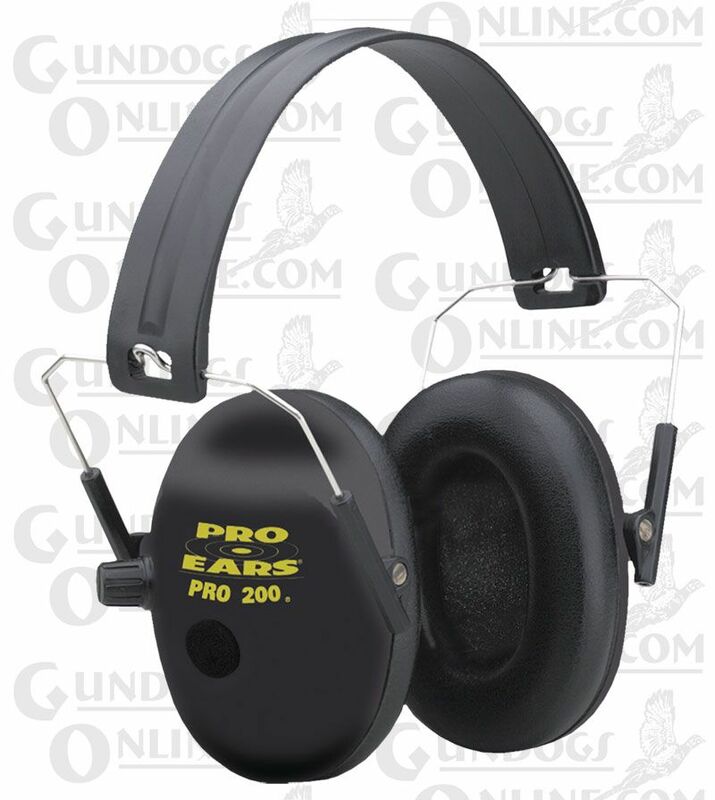 The Pro 200 has a chopped cup design with makes it the perfect choice for the hunter, and it also has a fully collapsible headset for compact storage. The Pro Ears Pro series allows you to enjoy and improve your performance for any hunting or shooting enthusiast. This electronic hearing protection has an attack time of 5.5 milliseconds. This muff will provide years of hard use for hunters, law enforcement professionals, firearms enthusiast, military professionals and light industrial users. This is the best value hearing protection in this price range. PRO-EARS Pro 200 models carry a full 3-year warranty on the electronics, the longest in the industry. The closest competitor offers a 1-year warranty. If there is a problem in the electronics it will usually show up in the first 3 months. Just call the manufacturer for an RMA number (return merchandise authorization) and they will repair / replace the defective board. Once the Pro Ears engineering department receives the electronic hearing protection, it is repaired and shipped back to you within 2 to 3 days. Usually, they ship the same day it is received.